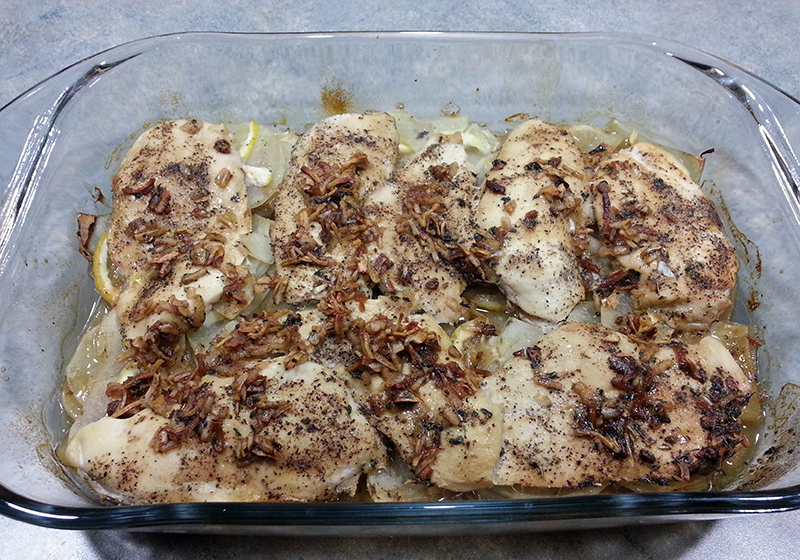 Preheat oven to 375º F. Season both sides of chicken with salt and pepper. Add potatoes and lemon to 13 x 9 inch baking dish. Place chicken on top of mixture.